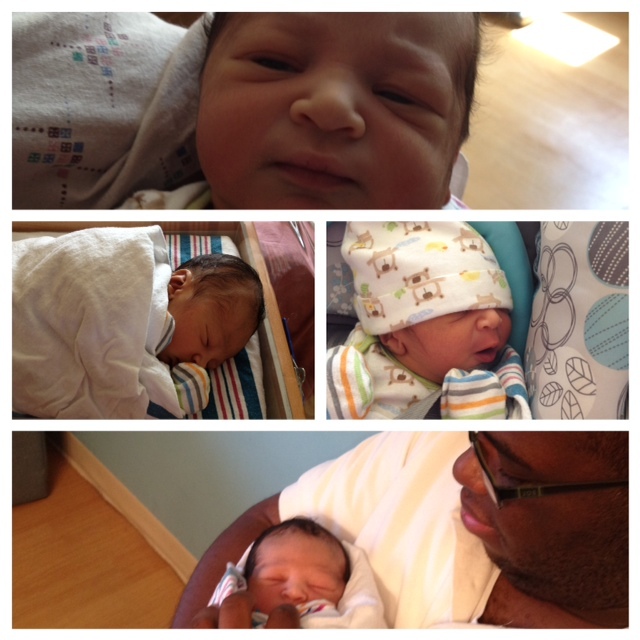 Last Sunday, I became an uncle: again! Admittedly, this was a special birth for me. Over the pregnancy, I’ve had the gracious honor of witnessing the growth of my younger brother, Marcus, from husband to second-time father. He has become even more focused on what’s most important, which is his family. He reminds me so much of our father, until it’s not even funny. When I call my brother, I have to remind myself of whom I’m speaking with (he and Pops sound alike as well). Marcus has indeed settled into both fatherhood and marriage quite nicely, if I may say so myself. It was in that moment, as I held little Dawid (pronounced “Duh-veed”), that I realized I was holding a miracle. I marveled at the handiwork of God, thinking, “Wow. Here’s is this little being in my arms. He has a body, spirit and a soul. ” I guess I was in such awe because he was once in his mother’s womb, and now he’s no longer there, but in the world. That’s crazy, to me at least. As the baby slept, I wondered, “Who will he mostly be like? Will he be an artist like his mom? Or a musician like his dad?” So many thoughts ran through my mind, until it was hard to keep up. All I knew was that I enjoyed just being able to hold the little guy, and hope for him. Once upon a time, when I had the opportunity to become a parent, I felt frightened. My summation was that I felt like the more that I found out about the world, the more I didn’t feel comfortable having a child being born into it (what little I had to do with it, at least). But I no longer feel that way. For starters, it wasn’t in the Master’s plan, at that time, for a baby to come to fruition (that’s a future post). Secondly, I am no longer fearful. Instead, I am excited for this young life. I am hopeful that he will make a great impact in this world, as the world needs his dreams to come true as well. There’s a reason why he was born in this decade, in this span of human time. We’ll all just have to wait and see what his future holds. I will be, with much prayer and anticipation. oh my goodness, you have written it all with your heart as I feel each and every word piercing through my heart!! The baby (Dawid) is adorably cute!! I am absolutely in love with him!! Naima, I just try to write honestly and with much care. I’m glad that this post “hit” you where it matters most: In your heart. Blessings to you as well. I was over-whelmed! This is beautifully written!